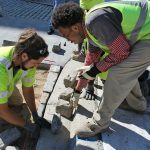 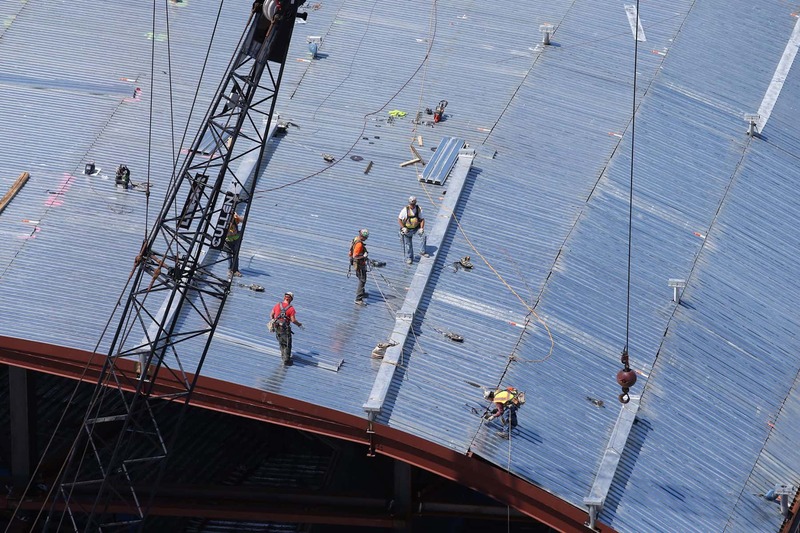 Topping off is the tradition held by builders when the last beam, ceremonial beam or highest beam is placed atop a structure during construction. 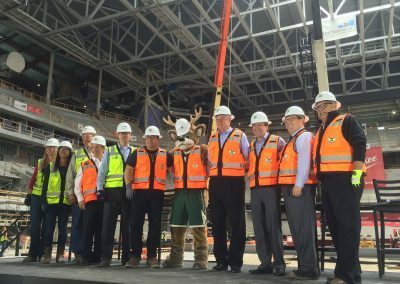 Milwaukee Bucks President Peter Feigin, Milwaukee County Executive Chris Abele, Milwaukee Mayor Tom Barrett, Wisconsin Department of Administration Secretary and Wisconsin Center District Chairman Scott Neitzel, Milwaukee Tool President Steven Richman and representatives from Mortenson Construction and ICON Venue Group joined more than 700 construction workers today to celebrate the topping off of Milwaukee’s new entertainment and sports venue at the Milwaukee Tool Construction Site. 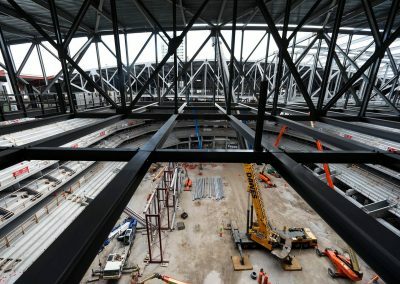 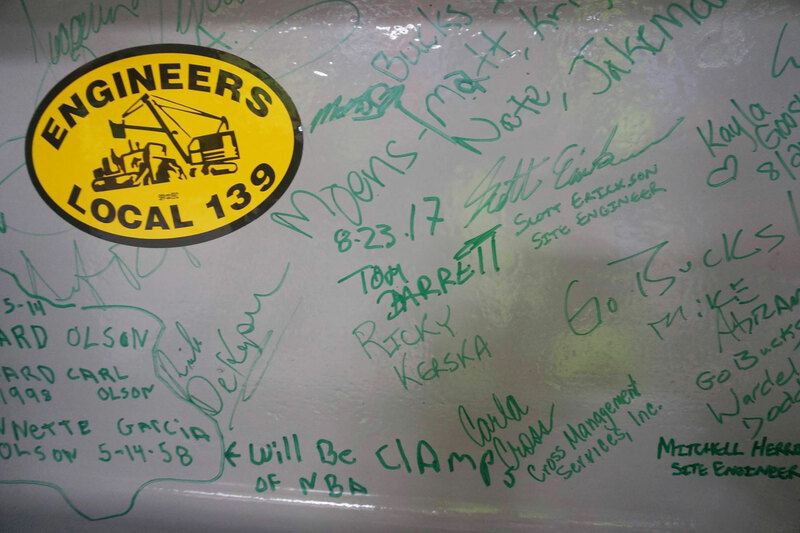 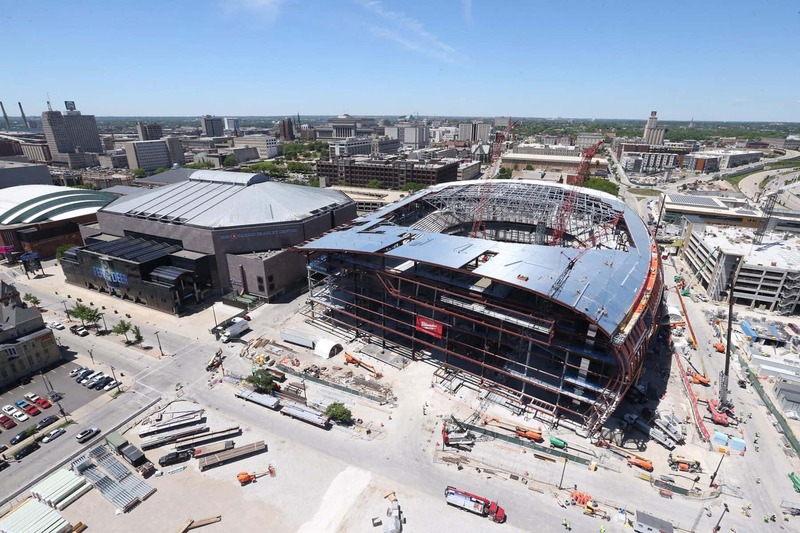 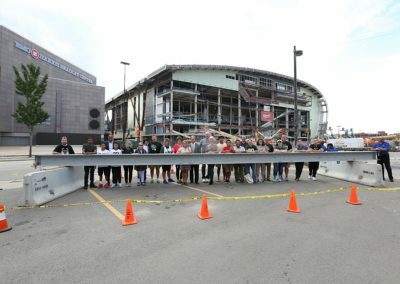 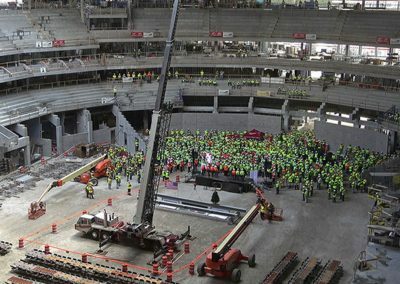 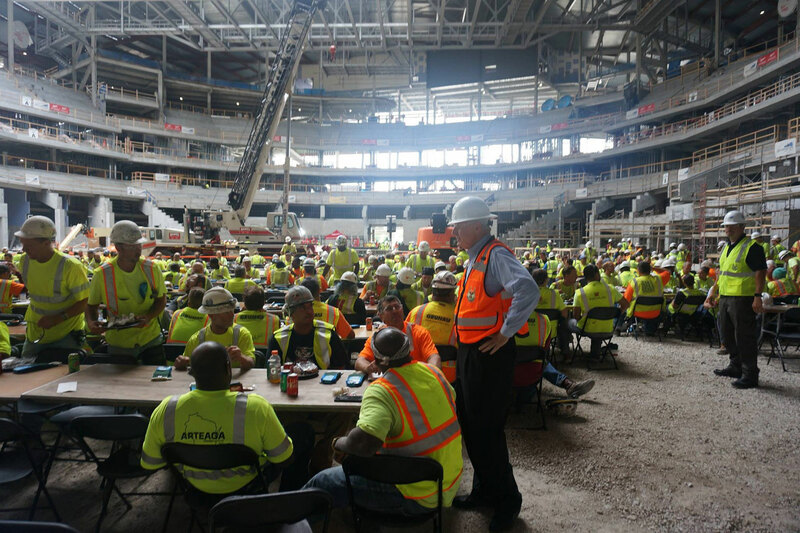 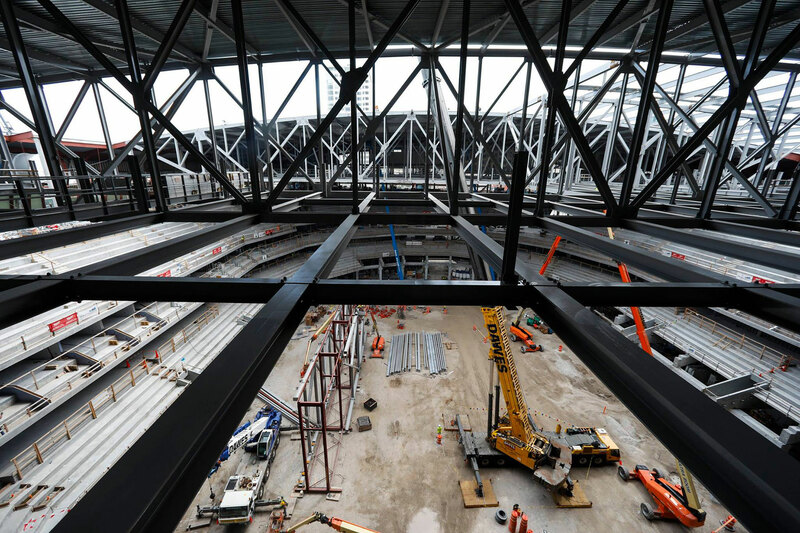 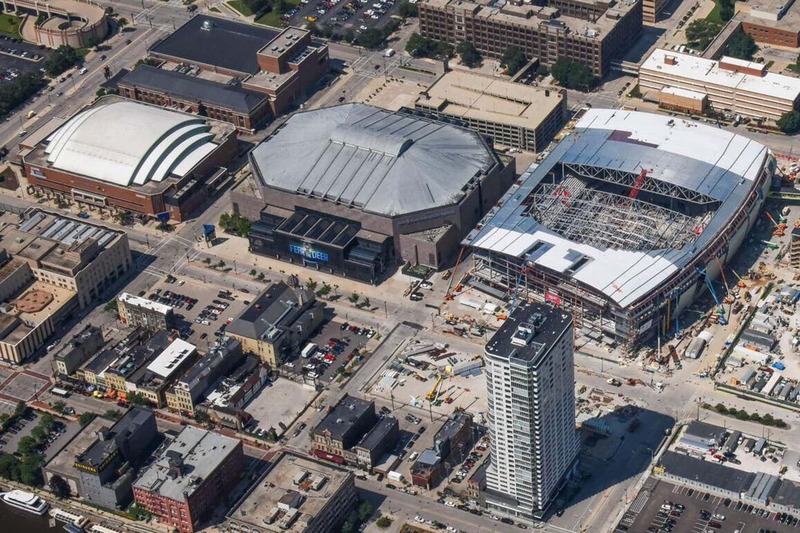 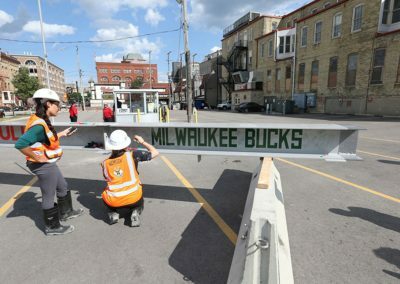 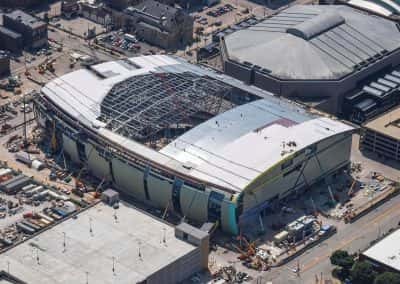 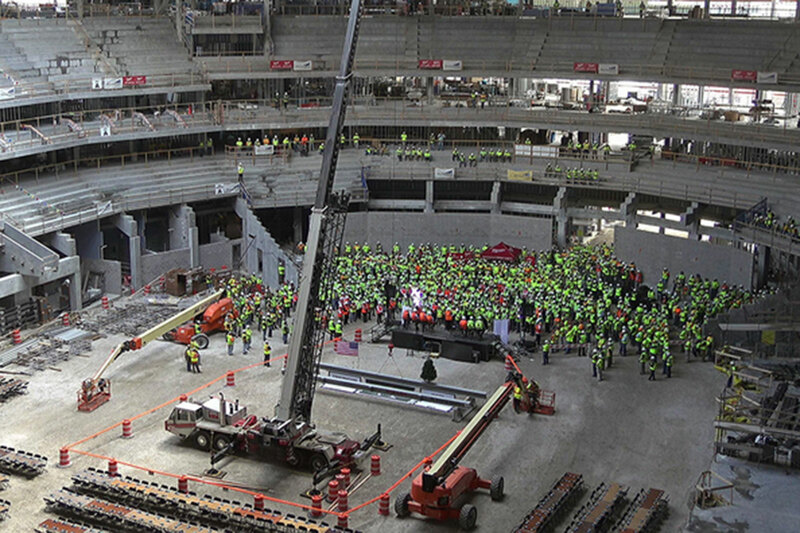 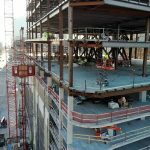 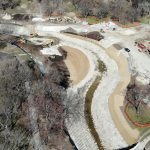 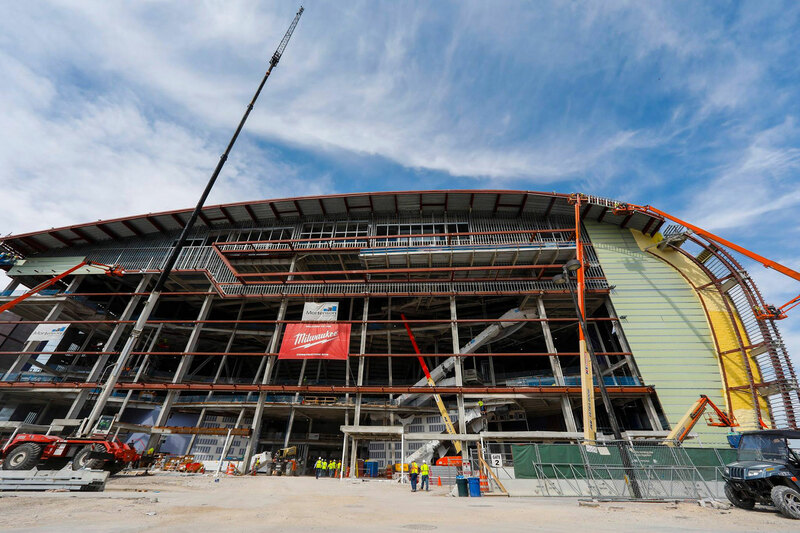 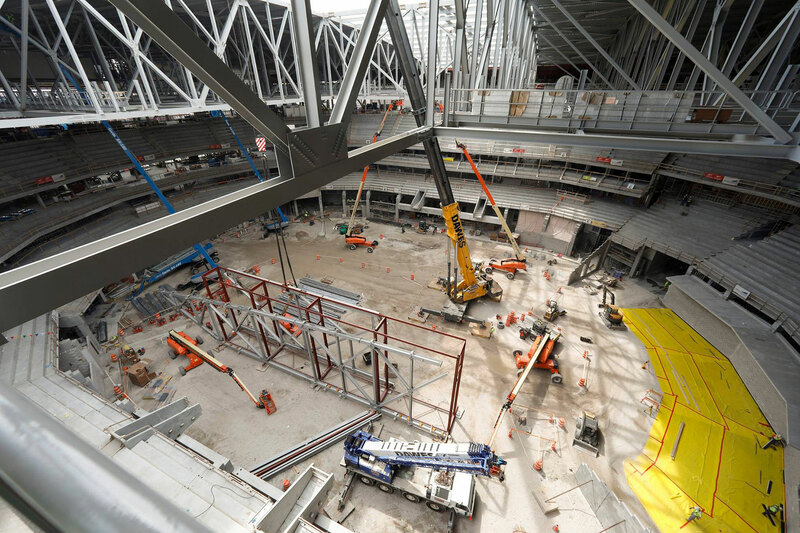 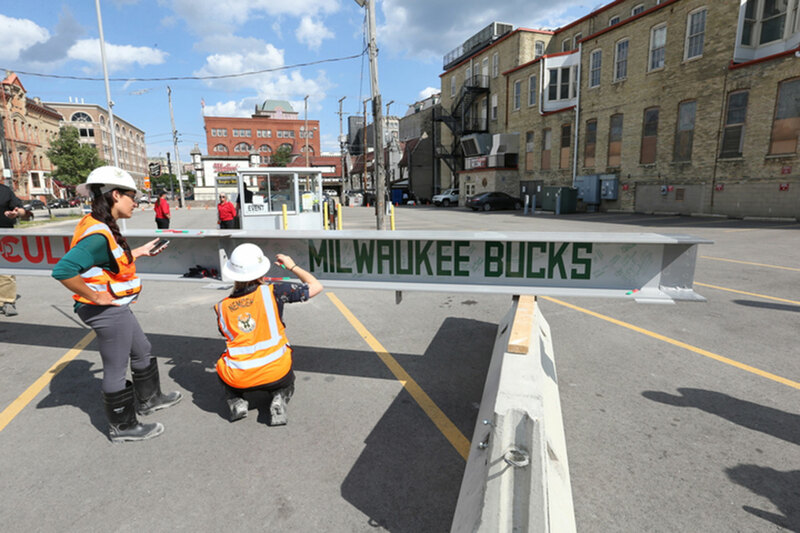 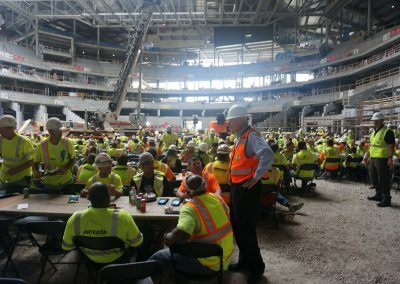 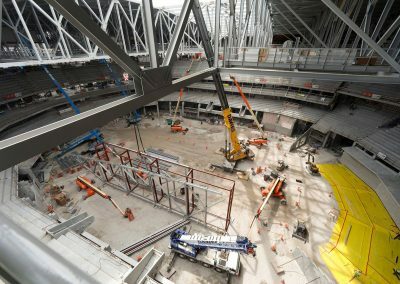 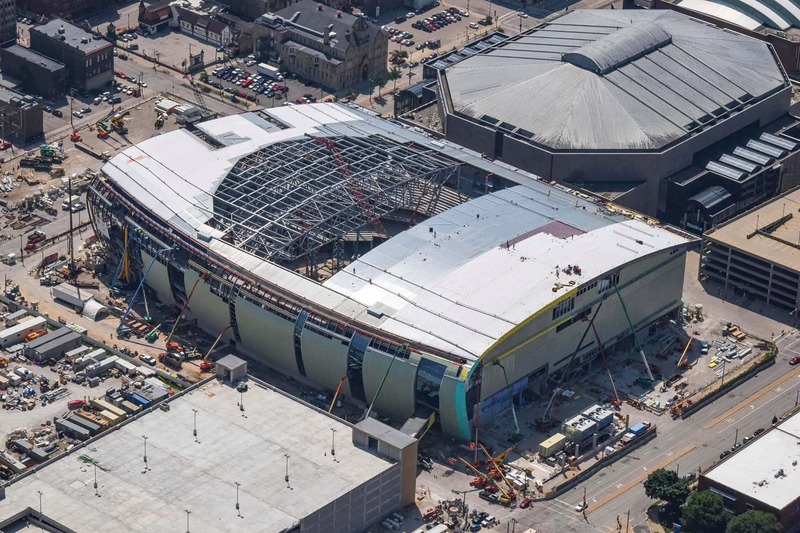 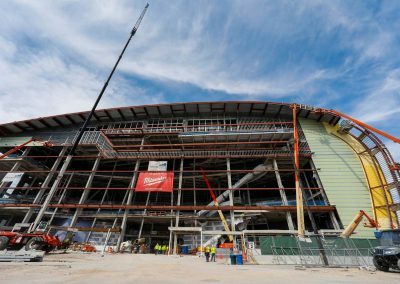 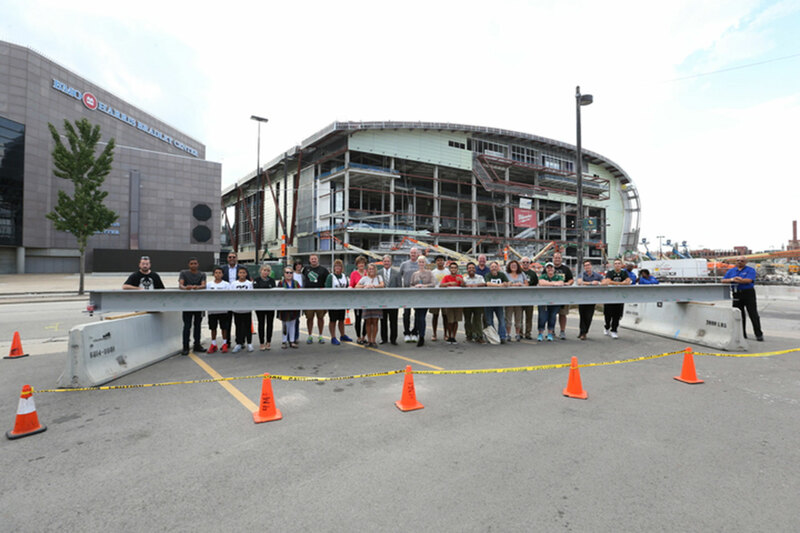 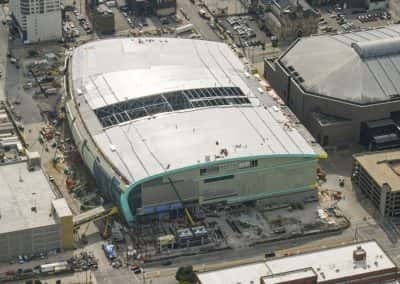 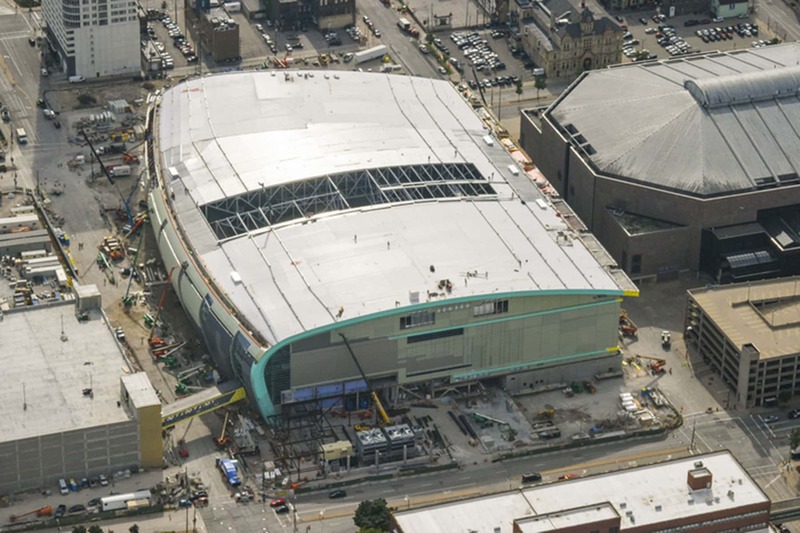 The new state-of-the-art Bucks arena is currently 55 percent complete and will open in the fall of 2018. 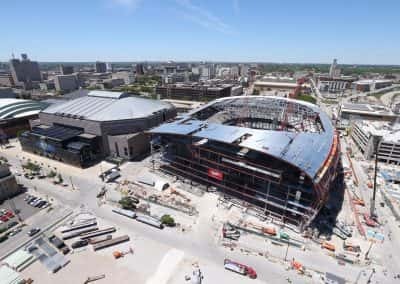 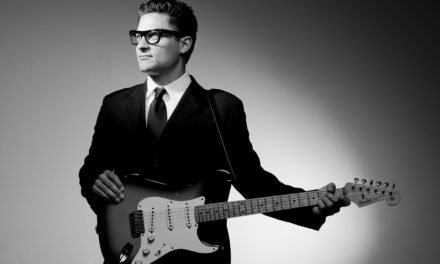 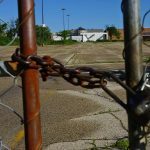 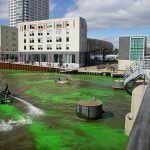 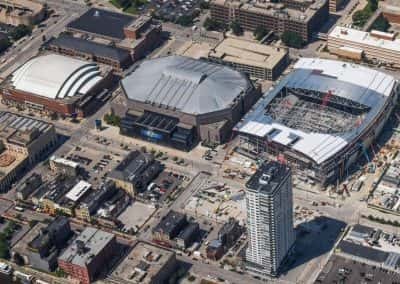 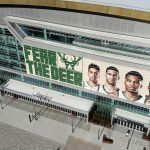 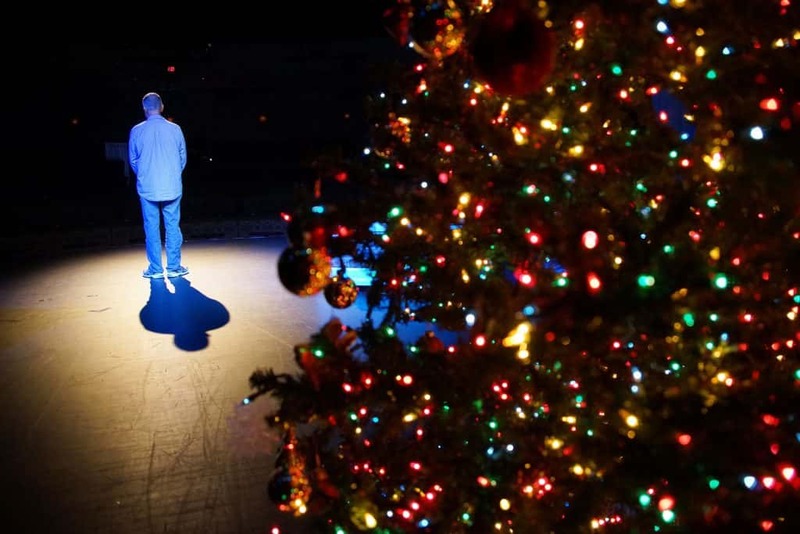 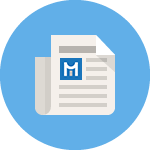 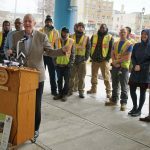 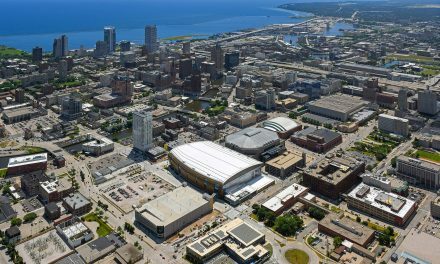 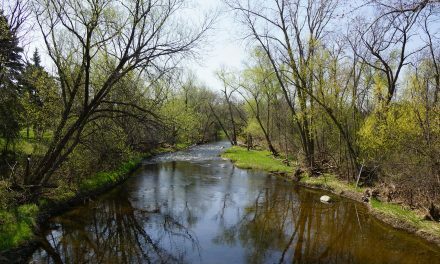 In addition to being the home of the Milwaukee Bucks and the Marquette men’s basketball team, the arena will host major concerts, family shows, boxing, MMA, NCAA men’s basketball tournament games and other special events. 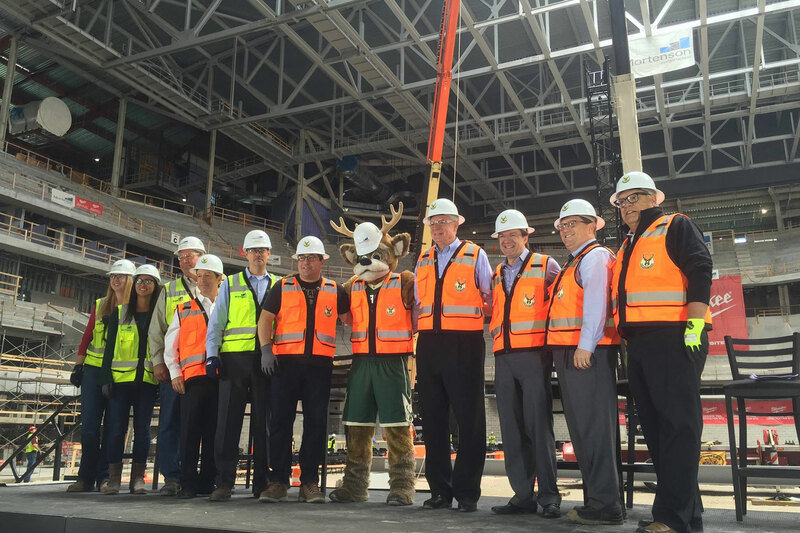 Both the Bucks and Marquette will begin play in the new arena for their 2018-19 seasons.